Roger graduated from Ball State University in Muncie, Indiana with a degree in mathematics and minor degrees in economics, physics, and electronics. For the next 16 years, Roger was a licensed health facility administrator. 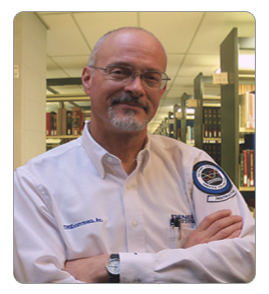 Following that, Roger began work for TW Enterprises, Inc. and has been with TWE for 21 years. Roger works extensively with Generac products and specializes in product application, customer service, and technical support. He is certified with Generac in phase A, phase B, MPS (Modular Parallel Systems,) and Professional Development Series courses. 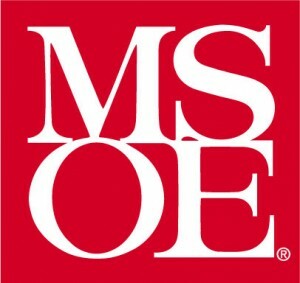 Classes are certified through the MSOE. Founded in 1903, Milwaukee School of Engineering is a private, co-educational university located in downtown Milwaukee, WI. The university offers undergraduate and graduate degrees in areas related to engineering, business, nursing, and construction management. Theory is brought to life for students through extensive integration of laboratory experimentation. A testament to the integrity and solid foundation of MSOE. This course presents methods and calculations for proper sizing of generators. Participants will explore the alternator’s and engine’s response to different types of loads while investigating different techniques to optimize the generator’s performance. This course presents information for the proper selection and application of automatic transfer switches (ATS). Participants will review the operation of various types of transfer switches, explore special application considerations, and receive tips on good system design. This course introduces you to the concept of parallel generator operation. It describes when and why paralleling is used, along with special technical considerations including synchronization, load sharing, and protection. Integrated versus traditional paralleling implementations are discussed along with their functional and economic considerations. The benefits of an “Integrated” parallel system over a single generator application are also discussed. This course presents the key factors necessary to ensure the highest degree of reliability in emergency power system design. It explores strategies for value engineering projects through utilization of the best available technologies and innovations without sacrificing overall power system reliability. Guidelines will be provided for the selection of the system best suited to meet a project’s cost, reliability, and performance criteria. The course will also present measures for determination of reliability and provides tools to establish reliability criteria for overall engine-generator power systems. This seminar presents reasons for standby power generation from the National Electric Code (NEC) perspective. The initial versions of the NEC were not written with generators in mind. Generators were added in various sections of the code over the years. This seminar attempts to examine those various sections and compile the generator relevant information. The information is presented in a question and answer format. Seventeen questions have been identified as being the most commonly asked by the engineering community. We then reference the NEC to answer those questions. This seminar introduces Underwriters Laboratories (UL) standards and the impact of those standards for standby power generation, including the engine-generator set and transfer switch. Specific NFPA standards will be discussed along with application/installation details for healthcare, life safety, and fire pumps. This seminar examines engine-generator configurations and the selection of optional items such as block heaters, base tanks, enclosures, etc. It explores standard configurations versus custom options that may be required based on site-specific criteria. The seminar also introduces good design practice guidelines for the installation of engine-generator sets based on site-specific and application-specific details. There will be an emphasis on cooling system selection, unit placement, and piping requirements. This course introduces engines and engine technologies used in the design and implementation of standby power generation. Terminology and engine theory will be discussed along with selection criteria, optimization, and validation testing. In the alternator section you’ll learn how a voltage can be produced by moving a wire through a magnetic field. The main components of an alternator will be described along with the various construction practices used during manufacturing. Wiring differences will also be covered describing the differences between Wye and Delta configurations. The purpose of this course is to provide you with a basic overview of the various control functions associated with generators. You’ll see how control panels have evolved over the years. You’ll learn the important role the control panel plays in sensing, controlling, monitoring, and protecting. Intelligent communications will also be covered, including data logging, trending and predictive maintenance. The purpose of this course is to provide you with a basic overview of the elements to consider when writing specifications for engine generator sets and transfer switches. Presented in a question and answer format, you’ll learn what information is needed to put together a comprehensive specification. The seminar begins by defining the scope of the application along with NEW and NFPA considerations. Project conditions are covered followed by discussions of generator capacity/performance, maintenance, fuels, enclosures, sound attenuation, protection, and transfer switches.